﻿ SNES Classic? SAY WHAT!?!? 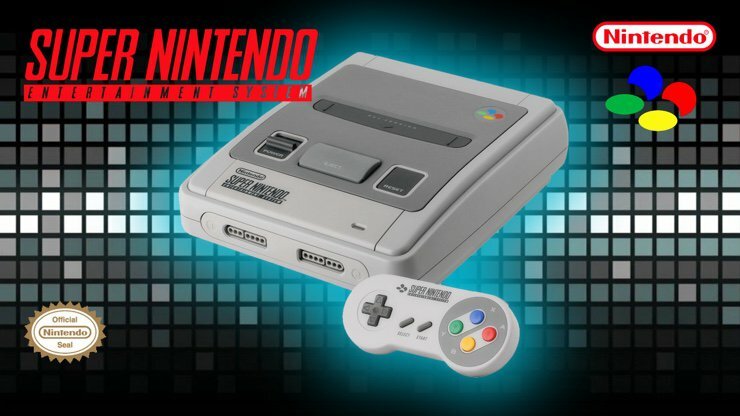 After the recent discontinuation of the NES Classic Edition, Nintendo is reportedly now working on a mini version of its SNES console. The SNES Classic, as it's likely to be called, will launch "in time for Christmas this year," according to Eurogamer. The site says the in-development device is a major reason why Nintendo did not continue producing NES Classic units, despite it being sold out nearly everywhere due to high demand. Nintendo refused to comment when contacted by GameSpot. The NES Classic launched in November 2016 as a miniature version of the 1983 console. It was essentially an emulator in a plug-and-play box, and it contained 30 pre-installed classic games including Super Mario Bros. 1-3, Castlevania, Donkey Kong, Final Fantasy, Punch-Out! !, and Metroid. After launch, the device proved to be more popular than anticipated; in February, Nintendo announced that sales had reached 1.5 million sales across the globe. Regarding the stock shortages many fans were facing, Nintendo apologized and later implied that it misjudged the demand. April will see the last shipments of the device. A SNES Classic could take a similar form to its miniature predecessor, with a number of fan-favorite games included on a small plug-and-play device. Acclaimed games for the original SNES include Super Mario World, Chrono Trigger, Super Metroid, Super Mario Kart, The Legend of Zelda: A Link to the Past, and many more. Star Wars Puzzle Droids Out Now!